Brennan Boynton, Champlin Park. Boynton allowed just one first-period goal in a 3-1 win over Duluth East on Dec. 28 — making 56 saves for a .982 save percentage. The senior goaltender ranks third in the state with a .945 save percentage this season. Nathan Hadley, Anoka. The senior goaltender faced the highest shot total of his season (42) and gave up two goals — one on a penalty kill — for a .952 save percentage in a 2-2 tie against Rochester Mayo on Dec. 27. Jagger Johnson, Waseca. Johnson led the Bluejays' offense in a 6-2 win that broke a five-game losing streak. In the Dec. 29 contest with Bagley/Fosston, the junior forward scored twice, including once on the power play, and added two assists, including one short-handed. Johnson is tied for eighth in the state with 15 goals. Zak Kennett, Red Lake Falls. 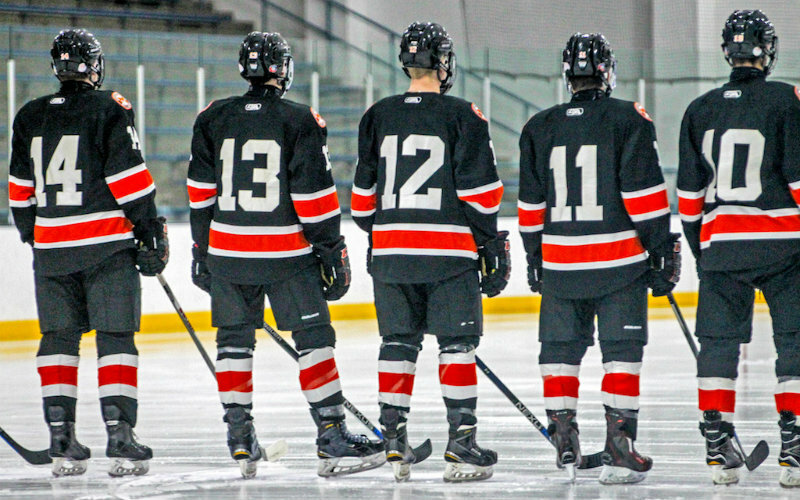 The sophomore forward has contributed multiple goals in every game this season and continued the trend in an 8-7 win over Moose Lake Area on Dec. 28. He scored four times and added two assists. Kennett is tied for third in the state with 34 points. Liam Malmquist, Edina. In a 6-5 win over Moorhead on Dec. 27, the senior forward helped the Hornets to a 2-0 lead, tallying a first-period goal and assist. After the Spuds came back to lead the game, Malmquist scored two consecutive goals within a minute to put the Hornets up 4-3. Nick Mattila, Ely. Mattila led the Timberwolves' offense in an 8-6 win over Red Lake Falls on Dec. 29, as he found the back of the net five times — the senior forward's third consecutive multi-goal game — and added one assist. Mattila's five goals bring his season total to 15, tied for eighth in the state. Jack Peart, Grand Rapids. In an 8-6 win over Forest Lake, the sophomore defenseman led the Thunderhawks' 4-for-8 power play, scoring twice and adding an assist with the man advantage. Peart added two more assists at even strength in the Dec. 28 contest. Mason Plante, Marshall. The state's leader in points (43), Plante led Marshall's 6-1 win over Princeton on Dec. 29 with six points. The senior forward assisted on a power-play goal 50 seconds into the game, assisted on a short-handed goal in the second period and added a goal and three more assists. Owen Sommerness, Southwest Christian/Richfield. The junior forward contributed four points in the Stars' 4-3 overtime win over Pine City Area on Dec. 29. With the Stars trailing by a goal two separate times in the game's first half, Sommerness assisted on both tying goals. He then assisted later in the second period before scoring the overtime game-winner. Lucas Wieser, La Crescent-Hokah. The Lancers scored five consecutive goals thanks to Wieser, as the senior forward had his best performance of the season — scoring three goals and adding two assists. Three of Wieser's points came on the power play. *Stats and records as of Dec. 30.